I famously didn’t walk until the day after my brother was born in June 1979. I was 19 months old! My grandad was in the garden with my aunty Viv and I obviously decided it was my moment to try and outshine my baby brother in whom everyone seemed so interested! 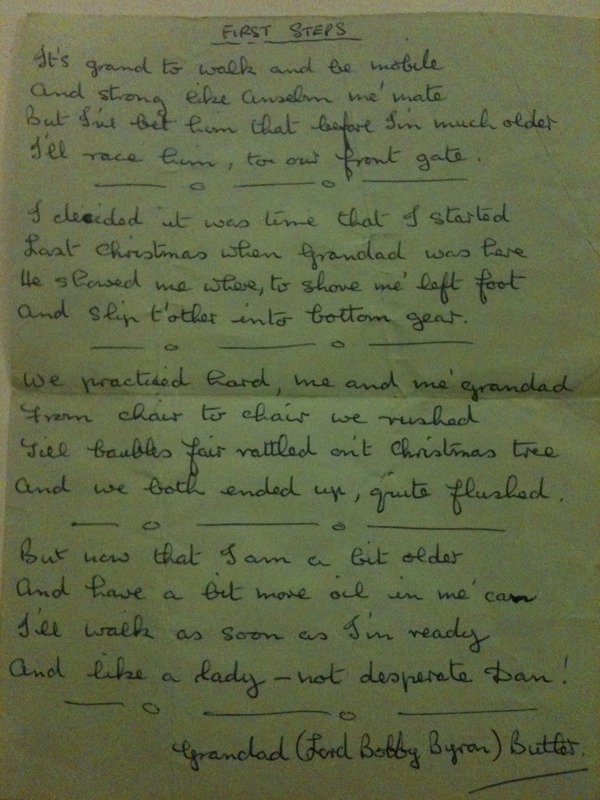 My grandad liked to write comic poetry & wrote this about the experience. Anselm is my godparents’ son and a good friend the same age as me.